This is the last week of our EXPLORE theme. We've seen and explored many places, heard stories, and made yummy food. Getting out and exploring is so much fun – but coming home can be sweet, too. What do you do with all the wonderful things you've collected while you were exploring? Why, put them in a shadow box! 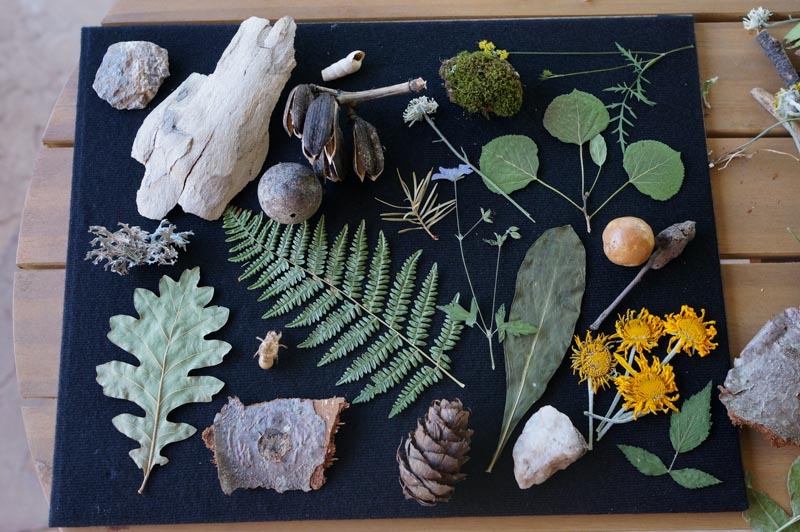 Whether you have an avid stone collector in your family – like little Renny Rouland the Raccoon – or a budding botanist, making a shadow box is a great way to preserve and show off the things they've collected. 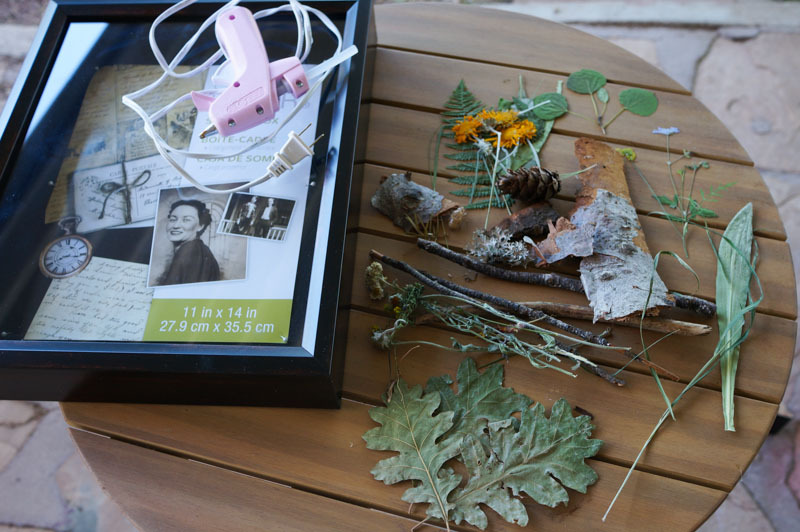 Shadow boxes are perfect for preserving vacation memories, too. Recently my family went camping about three hours away from our home. We drove up a 10,000 foot moutain and camped in a grove of aspen and blue spruce trees. There were meadows of wildflowers and thick patches of moss. We immeditately began to collect nature treasures to remember this beautiful place. 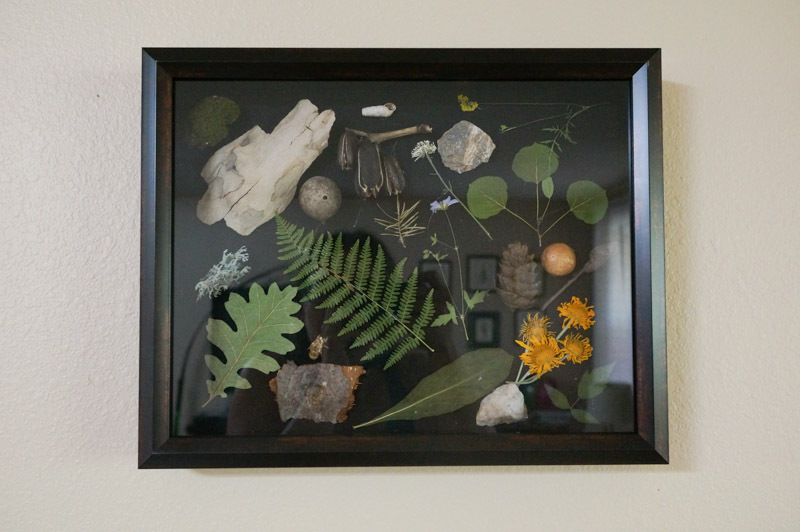 All you need to create a shadow box are a few simple items and bit of creativity. Remove the back of the shadow box and place it fabric-side-up on a table. 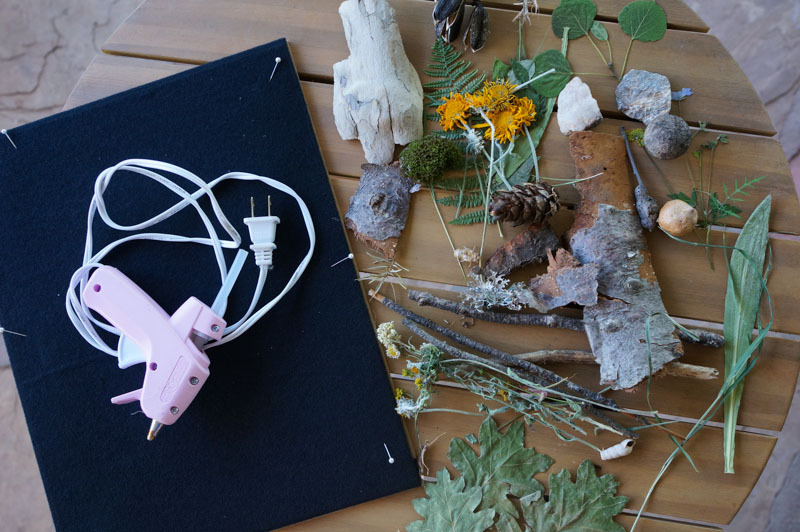 Plug in the glue gun and let it heat up while you arrange the items on the board. When you have arranged all the pieces on your board the way you like: hot glue them to the fabric side of the board. When you are done, simply put the board back in the shadowbox in the correct direction for hanging. Close up the tabs on the back like a frame, and you are done. Hang on the wall and enjoy. Note: you can also add labels if you desire to identify and remember what each item is.